(behind North Quincy High, Hunt street). Below is the information you will need to get started. Please read this entire email. Week 1 (4/13) and week 2 (4/28)families should plan on arriving between 8:15 and 8:30 to check in and receive their uniform jersey. This is an incredibly busy day for all of our volunteers so we ask you for your patience when checking in. Also those parents planning to coach, Please indicate this when your child checks in so we can direct you appropriately. * All new registrations should plan to arrive at 8am. Please bring a check for 65 dollars per player, and copy of the birth certificate for all new players. * Players should arrive prepared to play each week 15-30 minutes prior to the start of the session. The session will start promptly at 9am. * Players should come dressed to play wearing comfortable shorts or pants and soccer socks. Team shirts will be distributed on the first week. Shin pads are required. Players without shin pads will not be allowed to play for safety reasons. * Sneakers are allowed. Players who choose to wear cleats should wear only soccer specific cleats. Soccer specific cleats do not have a “TOE CLEAT” that is featured on baseball and football cleats. *Players should bring a water bottle with their name CLEARLY MARKED on it. Bottles left behind without names will be discarded. * Any parent, grandparent, aunt, uncle or sibling who is interested in coaching or volunteering in any other capacity should contact the league. More information on volunteering is available at our information table. *Please allow the coaches to coach. Studies show that shouting instructions from the sidelines causes confusion for the players. *Our coaches follow training plans designed by Massachusetts Youth Soccer specifically designed for this age group. Our senior coaching staff monitors all of our coaches and players during the session. If you have any questions or concerns regarding your coach or the training program please speak with a senior coach AFTER the conclusion of any session. Before and during the sessions coaches are focused on the program and it requires their undivided attention. All concerns will be addressed as quickly as possible. The only exception to this should be a concern about player or coach safety. *Jewelry cannot be worn during the sessions. This includes ear rings, bracelets or other jewelry. Jewelry poses a great risk of injury in soccer. If you have any questions or concerns please contact the league PRIOR to the first session. *DOGS ARE NOT ALLOWED ON THE FIELD or at the U6 First Kicks program. *SMOKING IS NOT ALLOWED AT ANY QYS EVENT. *Please help and clean up any trash from the field prior to leaving. *Please cheer for ALL PLAYERS ON BOTH TEAMS! Joining a team is a bold move for our youngest players. Let’s show all of them our support. *It is VERY common for some players to hesitate to join their team on the field. In some cases it may take several weeks. It is best to allow your player to watch their team from the sideline with you and let them join when they are ready. *After the session be sure to let your player know how proud you are of them and how much you enjoyed watching them play. This type of positive affirmation will inspire them to keep coming back. It is best to avoid any type of critique of the way they played. * Late registrations will be accepted at the field during week 1. Players MUST provide a birth certificate or passport for proof of age. The fee is $65, only cash or checks will be accepted at the field. We will also be handling any last minute registrations for U7 to U12 spring in house soccer. Please bring cash or check for 100 dollars, and a copy of birth cert for all new players. Please arrive between 9:30 and 11 am. " 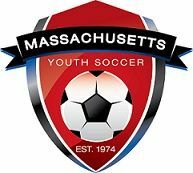 IMPORTANT NOTE: US Youth soccer and Massachusetts youth soccer have made changes to the age grouping eligibility. The new groupings coincide closer with both the year of birth and current school grade. See below for your players age grouping. Also, please provide the most current and accurate information for your player when registering. Quincy Youth Soccer Fall 2016 Age eligibility dates NOTE: *Players born before 2002- No Fall in house leagues available. BOTH Player year of birth and current school grade will determine eligibility. These age groupings are specific to Quincy Youth Soccer and our In House recreational fall program. Travel soccer and other soccer programs may have different aged based criteria. Directions to convert individ. acct. to family acct. Quincy Youth Soccer would like to remind all players, parents and coaches that Quincy Youth Soccer has a Zero Tolerance policy regarding sideline demeanor. QYS asks that all players, volunteer coaches and game officials be treated with respect at all times. Everyone on the field is trying to do their best to make this a great experience for all involved. We ask that you be supportive in every way. QYS would also like to take a moment to remind parents and coaches that only the players and CORI'd coaches are allowed on the player/team sideline. Spectators are welcome to view the game from the opposite sideline. Spectators who wish to view the game from behind the goals MUST stay a MINIMUM of 20 feet away from the goal itself. This will be strictly enforced. · Please be sure to select the correct size jersey and shorts for your child. · Please update all phone numbers, email addresses and parent/guardian information for each child you are registering. 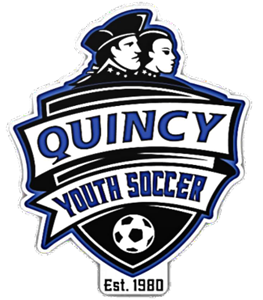 · If you choose the email “opt out” option you will NOT receive any correspondence from Quincy Youth Soccer including; important notifications, Rain Cancellations, registration emails, group events etc. Please note that QYS communicates primarily via email. · Completed registrations are Non Refundable. · Please consider volunteering as a coach, assistant coach for your child’s team or for other non-coaching opportunities.